Wear something with sleeves. Place the tape on “top” of the shoulders. 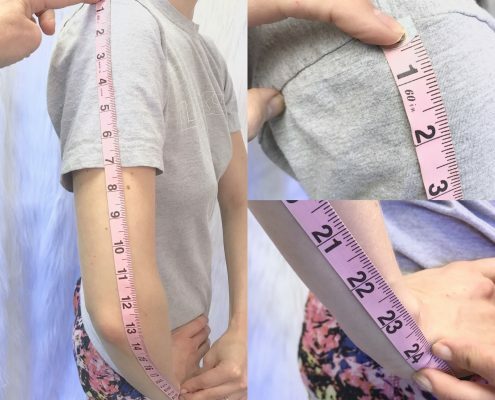 Measure from the edge of the left shoulder across to the neck bone to the edge of the right shoulder (between seams for the sleeves). Wrap the tape around the fullest part of your chest (bust) and center the tape on your back so it’s leveled all the way around. Your arms should be relaxed, and down at your sides. 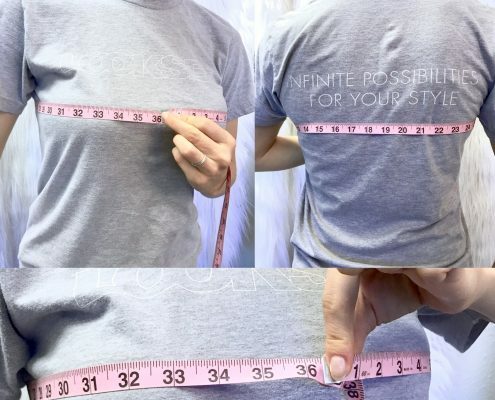 Measure from your shoulder seam to desired sleeve length. Arm should be slightly bended and relaxed. You can place your arm on the lower hip to get the right bend angle. 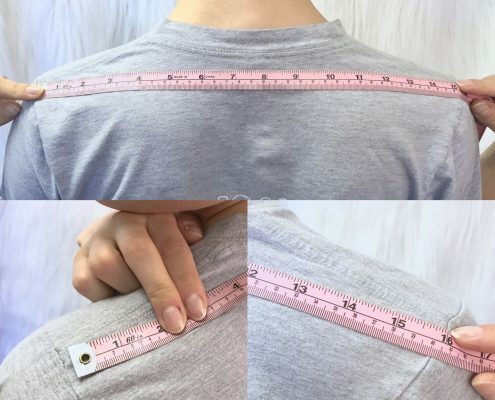 Hold the measuring tape at your highest point on the shoulder at the seam between front and back parts. Measure on the back till where you want the coat go (hip, mid-thigh, knee, mid-calf, ankle, floor). 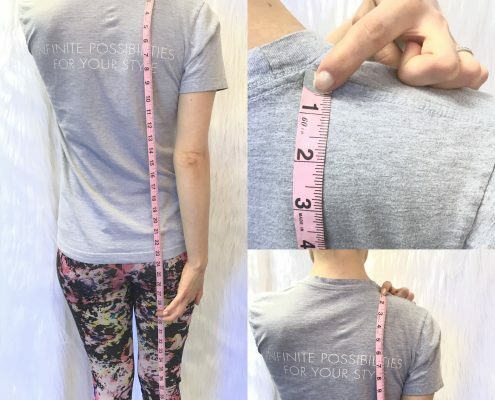 Ask someone to pull the tape down and tell you the measurement, so you can keep your posture straight. Shipping costs within the USA – $30 dollars Flat Rate per item. Cost of international shipping is $60 US dollars Flat Rate per item. Cost of shipping will be automatically added to your order when you proceed toÂ checkout. All the packages are shipped with insurance and tracking number.